The folk musician details his admiration for Richard Wagamese’s novel. Preetam Sengupta is the singer and songwriter from Sarnia, Ont., behind the album Patience. His passion for folk music has allowed him to travel internationally, performing at concerts in cities across Europe. 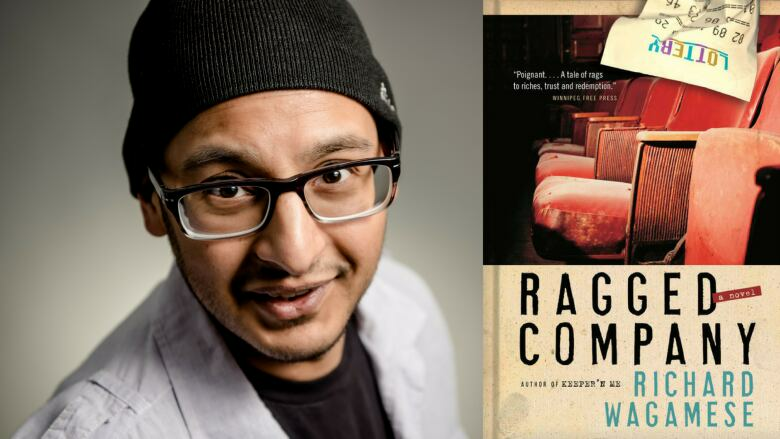 But his intimate connection with Ragged Company by Richard Wagamese has also enabled Sengupta to meet like-minded readers abroad and recommend the Canadian novel to a new audience. "Ragged Company tells the story of people living on the street who find a winning lottery ticket. It gives their backstory and tells the story from that point as they try to cash this lottery ticket without a fixed address. There's an adventure to try to figure out how to cash their winnings and what that money does for them afterwards — going from being homeless to having $13.5 million. It's a heart-wrenchingly beautiful story giving some insight into First Nation life on the streets that only Richard Wagamese was able to convey in the way that he wrote." "I told somebody about Ragged Company and ended up mailing it to her over in London. She read it and sent me an email saying, 'You know, I was openly sobbing on the train on my commute.' And I said, 'Yeah, that's kind of what that book did to me as well.' So I have Richard Wagamese to thank for a great story and a great friend." Preetam Sengupta's comments have been edited and condensed. David Huebert on living in the future described by Do Androids of Dream Electric Sheep?